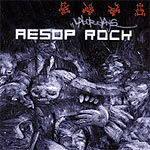 Re-issued in 2013 by Aesop Rock on his Block, Block, Chop label. This is one of the greatest hip hop albums of all time! You need this!